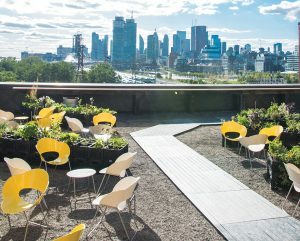 During the 10 days of the EDIT Festival in Toronto, the rooftop of an abandoned soap factory morphed into a garden cafe. Photo by Design Exchange. Return to "Substantive Edit: EDIT Festival, Toronto"